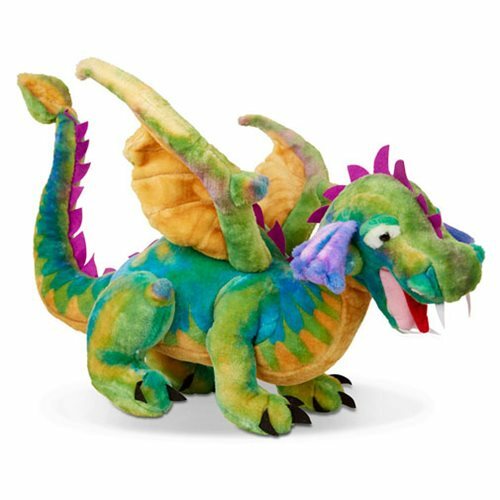 This dramatic plush dragon extends an open invitation to flights of fancy! With quality construction and great attention to imaginative details, vibrant colors and whimsical styling make this an awesome dragon! Measures about 33-inches long x 23-inches wide x 12-inches tall. Ages 3 and up.